Score 28 or more out of 30 in a 3pt contest. Win the Slam Dunk Contest vs. the CPU on Superstar difficulty level. Have two players in your team score at least 30 points in a solo game vs. the CPU. Have your team block 15 shots in a solo game vs. the CPU. Have your team grab 20 offensive rebounds in a solo game vs. the CPU. Have your team grab 30 defensive rebounds in a solo game vs. the CPU. Score 5 straight 3’s in the practice arena. 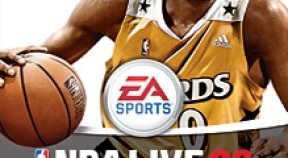 Pick the lowest rated NBA team and win vs. the CPU as the highest rated team (no special teams). Make five 3 pointers in a row with the same player during a solo game vs. the CPU. Correctly answer a minimum of 3 questions during a single trivia mini-game. Have one of your players get a Double Double in a solo game against the CPU. Have one of your players get a Triple Double in a solo game against the CPU. Have one of your players get a Quadruple Double in a solo game against the CPU. Win without making a 3 pointer in a solo game against the CPU. Have one player score at least 101 points in a solo game against the CPU. Have one player get at least 12 steals in a solo game against the CPU. Have one player get at least 18 blocks in a solo game against the CPU. Have one player get at least 31 Assists in a solo game against the CPU. Have one player get at least 56 Rebounds in a solo game against the CPU. Have 3 players with an overall rating of 90 or more on your Dynasty roster. Finish a Dynasty Mode™ season with the best record in the NBA.